Date: 3 February 2019. Battery Cap Fiasco. As described in the Battery Check and Cheater Method article, I check my batteries each month. When one batt showed a higher temperature than the rest, I investigated. Part of that meant removing the cap. That's when things took a turn for the worse. Here's what happened, and the steps taken to ameliorate the situation should I ever make this mistake again. 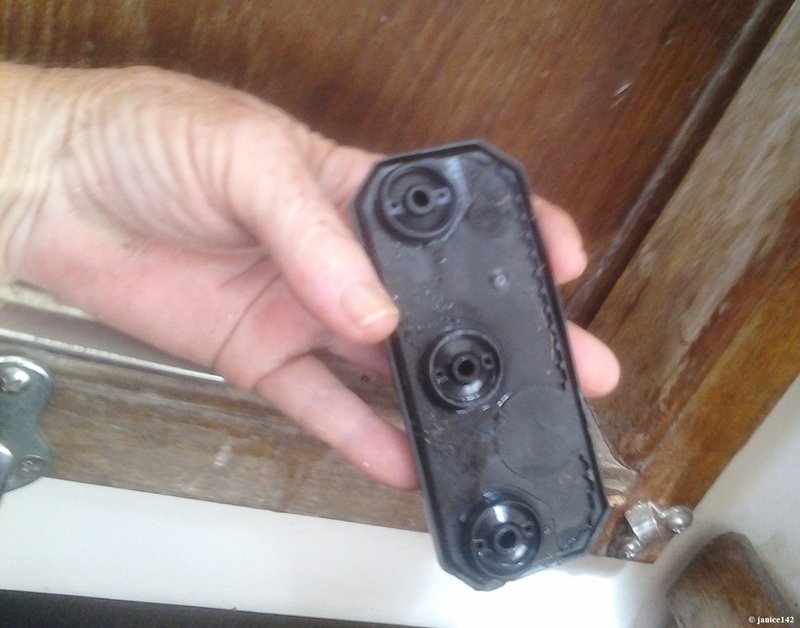 In the one spot of my bilge that is dang near IMPOSSIBLE TO REACH, I managed to drop the battery cap. 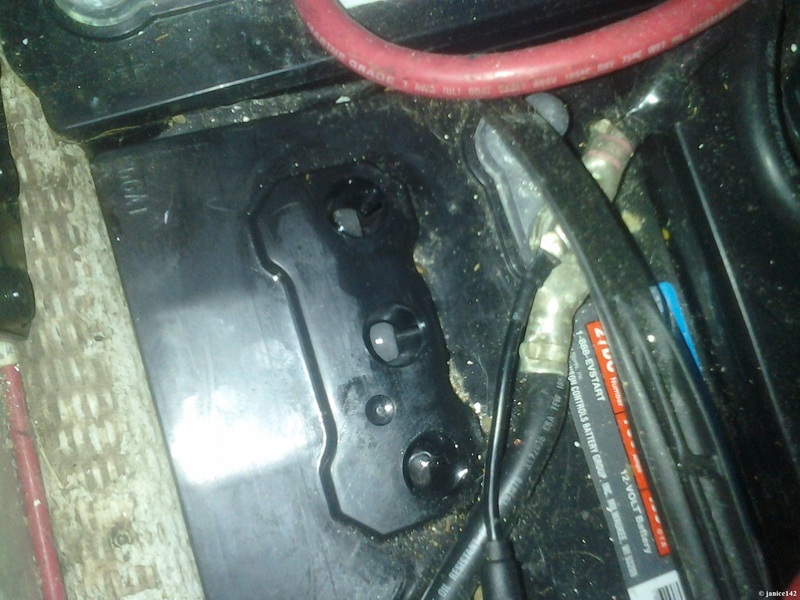 The cap fell between the bulkhead and the end of the battery. Due to the placement of the batteries in the starboard side bank, there wasn't much wiggle room. 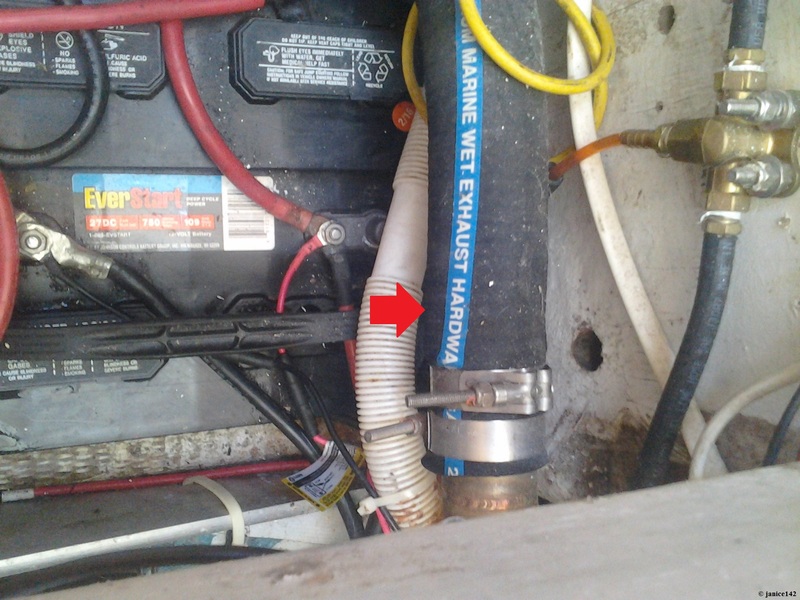 Try as I might, I could not fit my hand in between the hoses and the battery to retrieve the cap. I touched it once. That effort only managed to shove the cap further away. The cap was totally out of reach. Because battery acid was on the cap I took a gallon of water and poured down where the cap landed. A thorough flush would prevent corrosion. All of this hassle for one battery cap. Argh!!! In order to reach that spot I would have to remove three Group 27 batteries. Basically, that's 200 pounds of heavy batteries for one small cap. Truly this was the Worst possible spot to land. To access that slim spot between the exhaust hose, battery and bulkhead would be a major project. Frankly, it was more than I wanted to deal first thing in the morning. So I did what any sensible woman would do: I called a nice neighbor. I knew he had a *Battery Farm under a tree in his yard. Fortunately he answered the phone and brought me a new cap. 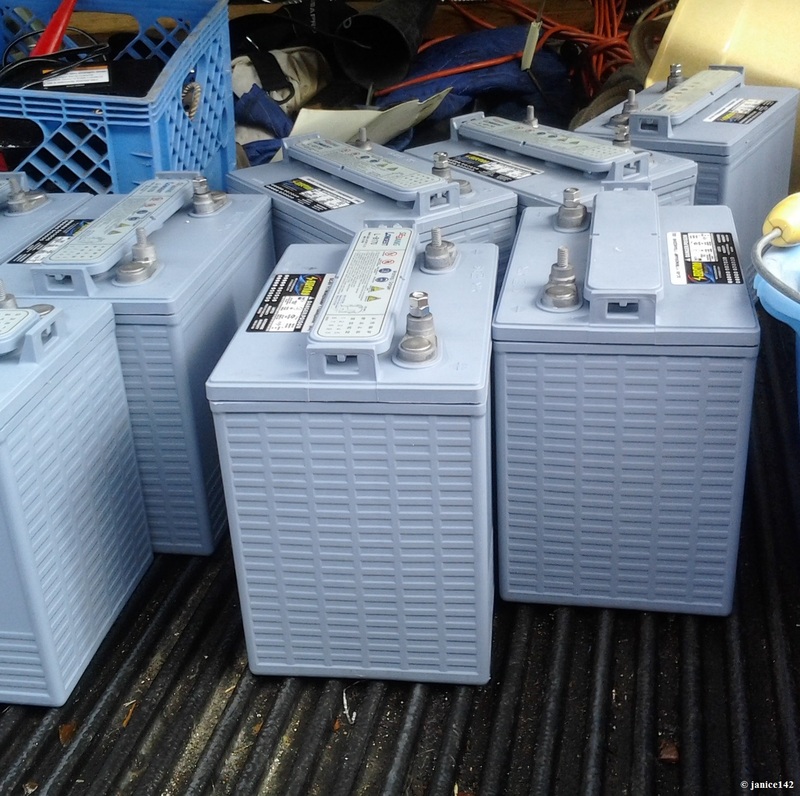 *Battery Farm: That's just a bunch of old batteries set aside to be returned for Core Charges. When you buy batteries the store will charge you an extra fee if you do not have a battery to swap/trade in. Six volt battery caps are interesting. Fortunately the neighbor did have the appropriate battery cap for me. He delivered it too. Thanks again Sir. I had not realized that there were so many different battery caps in the world. It was a reminder to never take for granted simple tasks. This ten minute chore to take care of my battery turned into a real Fiasco. It was frustrating and humbling. New item in my spare parts inventory: An extra battery cap. Said spare is currently between the battery and the bulkhead. I intend to remedy that by buying/acquiring another to store in an easily accessible spot. Honestly this was Frustration with a capital F. Were I to offer advice to you, add battery cap spares to your inventory of essentials. Each battery requires a different size and style of cap. One (or two) of each will suffice. I will be getting another cap, just in case! Thank you for reading. I appreciate that. I'd love to know that I'm not the only person on the water who has dropped a battery cap! And, have you spare battery caps in your inventory? The capcha is case sensitive.